If you have enough money, it can be easy to change your lifestyle to be more green. You can purchase a hybrid car, renovate your heating system and replace all the windows and doors in your house with energy-efficient alternatives. But what can you do if you’re on a more realistic budget? Fortunately, there are options. 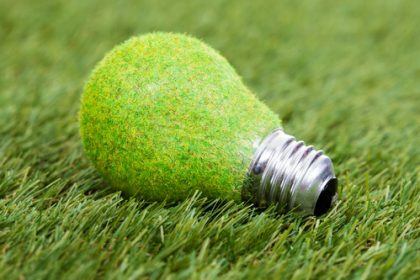 By putting a bit more thought into your day-to-day lifestyle, there are easy ways to save energy. Rather than upgrading the big-ticket items that will set you back a fortune, upgrade your daily life. Here’s how. Eating meat is problematic in terms of its environmental impact. It takes a tremendous use of water, land and energy resources to feed, raise and transport red meat. This leads to deforestation, diverting rivers for irrigation and untold carbon dioxide emissions into the atmosphere. You don’t have to quit eating beef overnight, but you should be aware of the effect your food choices have on the planet. For example, do you know how much water goes into creating almond milk? A lot. Just growing one single almond requires 1.1 gallons. This is a major issue in drought-ridden areas and the amount of energy required to pump that water is substantial. So while almond milk is delicious, and a great substitute for people who are lactose intolerant, you may want to think twice about whether your preferences outweigh the environmental impact of your purchases. You already know that you should buy LED light bulbs and Energy Star-certified appliances whenever you can. That’s a given. But it isn’t just the obvious and large items that are worth upgrading. Even the small stuff can make a difference. Take your smartphone as an example. It doesn’t use as much energy as a refrigerator, but you charge it every day. When it’s time to make a new purchase, buy a phone that is designed to use energy efficiently, like the Samsung Galaxy S7. You also should buy a solar charger that saves electricity and lets you get away from the city for awhile. Did you know that an empty freezer takes more energy to run than one full of food? By simply storing more items inside, you can save electricity. If you have a lot of empty space, put a few jugs of water in there to help regulate the temperature so the power plant doesn’t have to. Many people also keep their refrigerators and freezers cooler than necessary. The FDA states that you should keep your fridge under 40 degrees Fahrenheit and your freezer at zero degrees Fahrenheit to keep your food fresh and safe to eat. It doesn’t have to take a lot of effort to save energy. Think through your daily routine and make small adjustments to make an impact. Even a few lifestyle upgrades will help you do your part to protect the environment.